County Durham and Darlington is served by a total of 15 fire stations. A large majority (13 fire stations) are reliant on on-call firefighters. As well as fighting fires and attending incidents, firefighters are also called upon to provide community education and advice on fire safety. When they are called to an emergency, they could be dealing with any type of major or minor incident, such as road, rail or air collisions, floods, chemical spills and rescuing people trapped in lifts or other confined spaces. Part of a firefighters role is to encourage a safe community, to prevent fires and emergencies before they happen and to make sure people understand the risks of fire and what they can do to protect themselves. Firefighters take part in activities such as giving talks to schools, visiting community groups, fitting smoke alarms in homes and advising homeowners on protecting their properties from fire risks etc. Firefighters therefore use a range of communication skills and have regular contact with all groups within the community. This type of work requires a range of personal skills such as courage, understanding, reliability, flexibility, determination, self-motivation and the ability to work within a team. Above all the role requires a real desire to serve the community in which you live or work. If you think you have what it takes, please read on. On-call firefighters are men and women who may have other jobs and are able to provide evening, daytime or weekend cover. They are ready to go out to a call the moment a message comes through to their pager. They may be at home, working for themselves or for a company. On-call firefighters are trained to deal with a similar range of situations and incidents as their wholetime colleagues. They are skilled men and women who work as part of an effective team, using the latest equipment, methods and techniques to undertake a wide range of duties including tackling property fires, grass and farmland fires, road traffic collisions, chemical spills, animal rescues, floods and storm damage, delivering community fire safety and much more. On-call firefighters are a vital part of today’s Fire and Rescue Service. They provide an efficient, effective service that gives emergency cover to more than 90% of the UK. In County Durham and Darlington they make up approximately 53% of the operational workforce and are generally located in rural communities, small towns and villages. 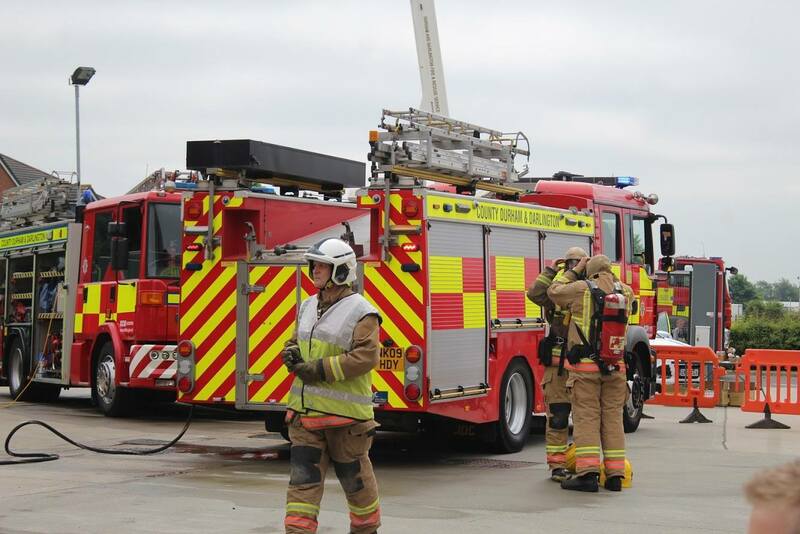 On-call firefighters are paid for their services – they also receive thorough training, which teaches them firefighting techniques, as well as other qualifications such as First Aid and Large Goods Vehicle (LGV) driver training.